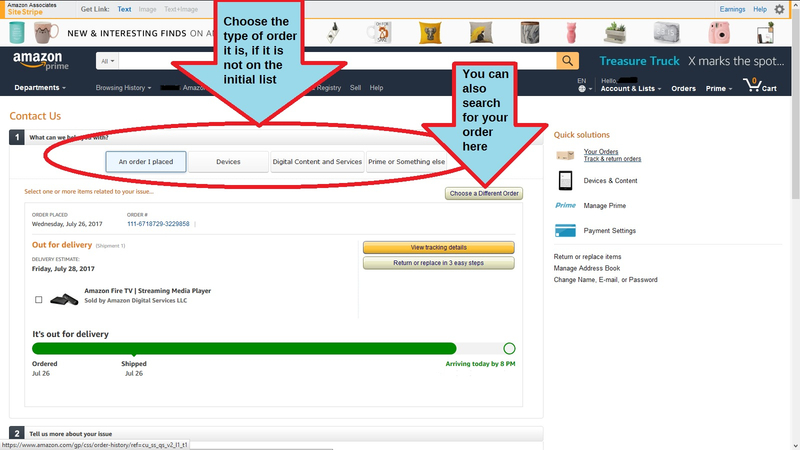 You received your order from Amazon and it's not quite working the way it should, or perhaps it was not the particular item you originally ordered. 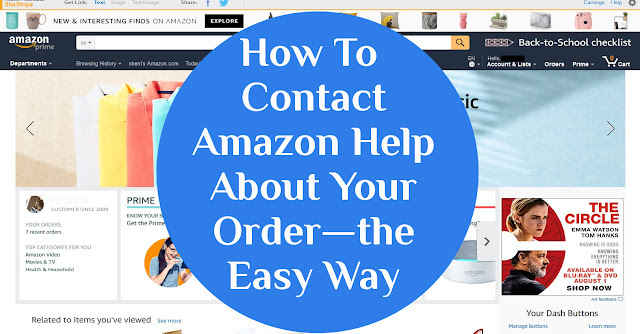 Whatever the issue, finding a way to contact Amazon directly can become frustrating. No worries! I've been in this situation enough times to know the easiest and quickest way to contact them! Click on the tutorial images to enlarge, if need be. A second dropdown menu may appear. 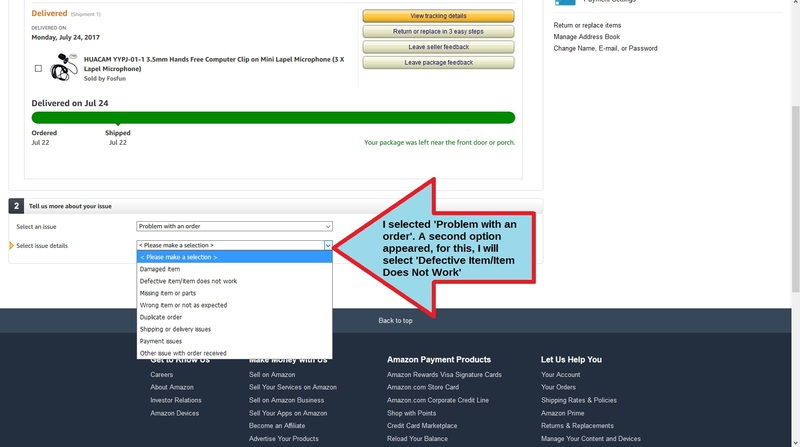 Since I chose "Problem with an order", I have additional options. Select the second option that best fits your situation. 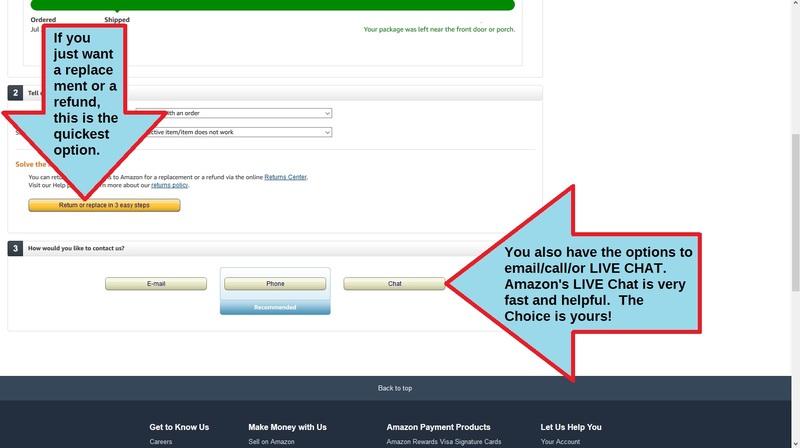 Now, you will have various options to contact Amazon directly regarding this order. The yellow button gives you the option to quickly request a replacement or refund if you choose. 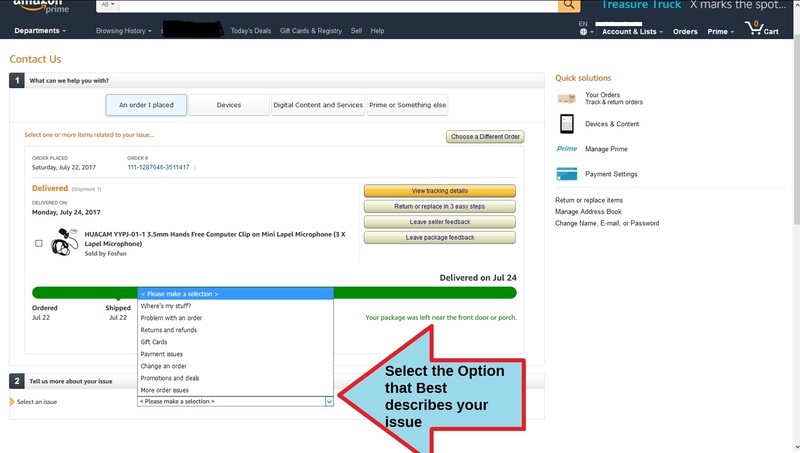 If you simply need help troubleshooting or just want to talk with someone immediately, I suggest selecting the phone option, or better yet, Live Chat. I've used Live Chat quite a few times and have found them to be extremely fast, knowledgable, and helpful. They can help with your refund, replacement, or even walk you through ways to troubleshoot your problem.